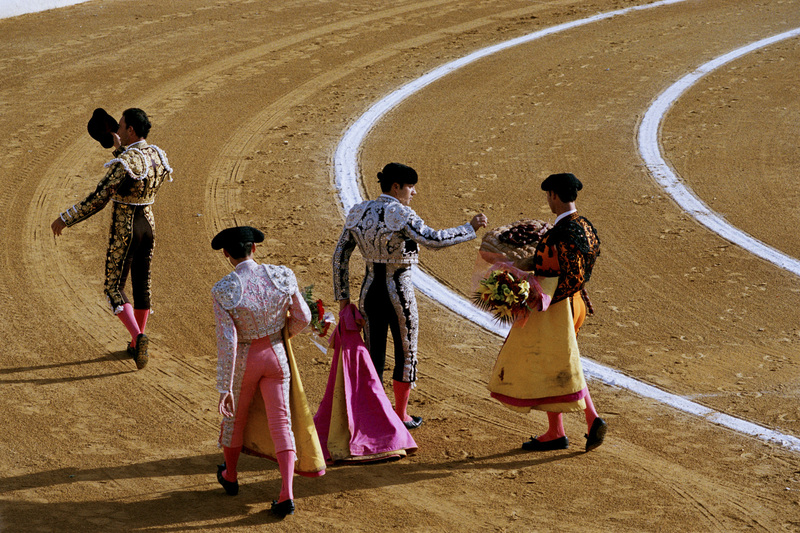 SPAIN - While traveling through Southern Spain I was taken as a guest to a bullfight at the Plaza de Toros de Murcia, in the capital of the state of La Manga. The packed crowd of 15,000 spectators waited with anticipation for the festivities to begin. At the conclusion of the main event the victorious Matadors paraded around the ring carrying large loaves of decorative bread and bouquets of flowers, as they tipped their Monteras (hats) to the crowd. One feisty bull actually survived the duel and was spared his life. The rest of the carcasses were carted off out of the stadium to nearby butcher shops eagerly awaiting the prized animals.